Perfect for organizing your gear and gadgets, from EDC kit to first aid items. 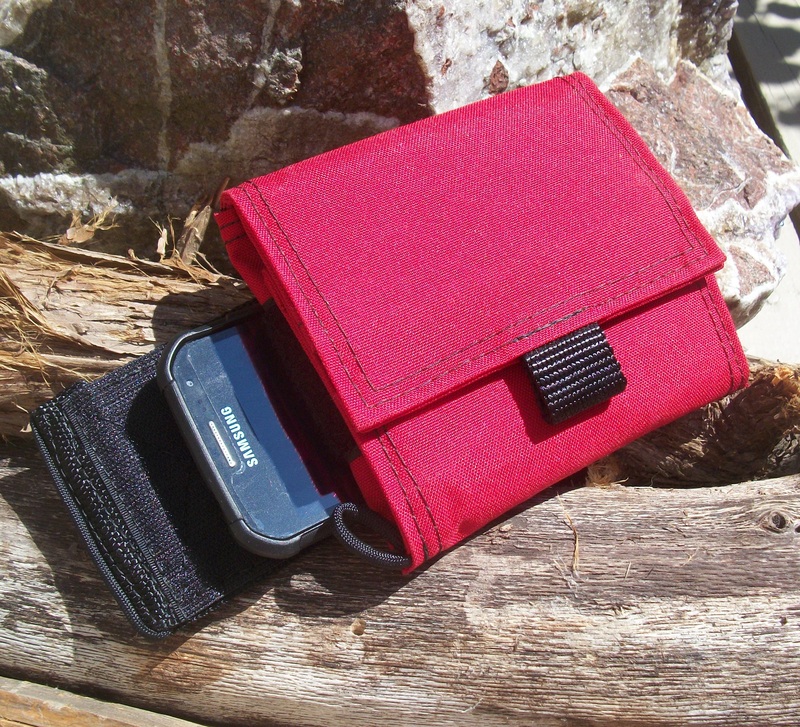 The Hunter-Camper Julpak is your perfect Everyday Carry Kit. Inside, there are two pockets at the top, one with a clear window for your ID or License and one behind that for holding credit-style cards. Three elastic tabs, one on each wing and one on the bottom pocket. 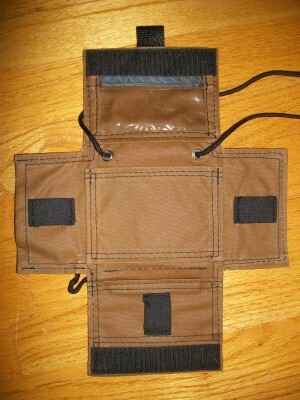 The bottom pocket has a Velcro-style closure for your loose items. The hidden pocket, accessed from one wing side, goes all the way through to the end of the other wing. On the back of this model, there is a large pocket for quick access. There is a small loop of para cord at the bottom corner and six feet of para cord on an adjustable knot system to be used for wearing or carrying. 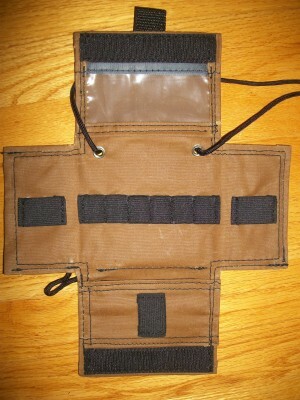 This model features a row of spaced 1″ elastic on the inside and a large pocket on the back.